Nowadays, people are purchasing more than they need, the more products they buy the more products gets thrown away. Every year new products are introduced and people demand the newer product, because of various reasons, it might have better quality, lighter, cooler or simply because it is new. When we see these new products, we start to compare the product we have at home, and often the old ones are replaced with the new ones. It is the product designer’s job to constantly come up with a product that people would want. But not enough thoughts were put into keeping the products loved by the consumers. Digital devices can become objects of affection. We can develop deep feelings for our objects, just like we do for a grandfather’s gold watch, a car that you drove for many years or a house that you lived your whole life in. I am an emerging designer with experience in the creative sector and training from OCAD University. I am an innovative, adaptable problem-solver with strong attention to details. 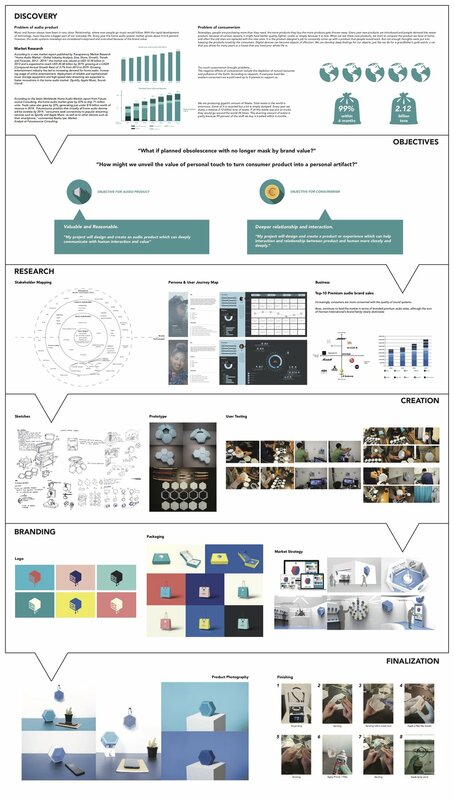 During the 4 years in OCAD, I was involved in various steps of industrial design. I am skilled at designing and problem solving from stories or concept, with tight deadlines. I am an engaged participatory and self-driven designer who draws upon my professional experience and education to create unique works that add value to a project.